Like research papers, only prettier! Treat your eyes to a feast of candy! We’ve never been accused of being knowledge-hoarders here at Growth Engineering. We like to share the information we’ve collected and we like to do it in the most colourful fashion possible. 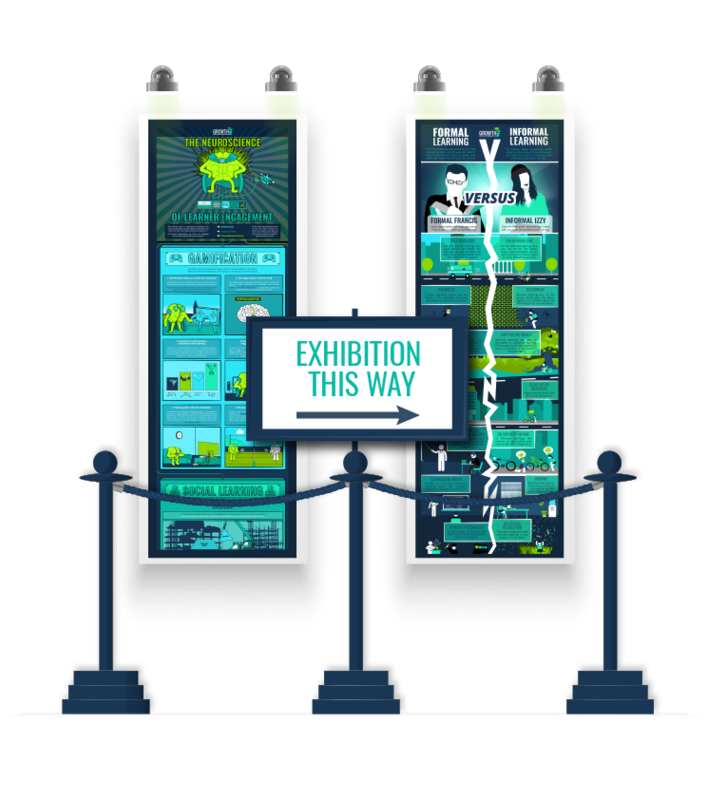 With that in mind, we’d like to invite you to enter our brand new Infographic Exhibition. You’ll gain access to a rumpus room full of juicy facts, stats, charts, tips and all manner of eLearning goodies. If you’ve got even the vaguest interest in the world of online learning, this should be your next port of call. Ready to go? Just fill out the form and grab your golden ticket!